The Big Mouth Gutter Outlet creates an extra wide opening between gutters and downspouts. Compared to regular gutter outlets, Big Mouths have a 500% increase in flow capacity. This wider opening prevents leaves and debris from building up, so water can easily flow into the downspout. 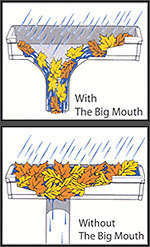 Big Mouth gutter outlets are essential for any homeowner looking to prevent clogging in their gutter system. 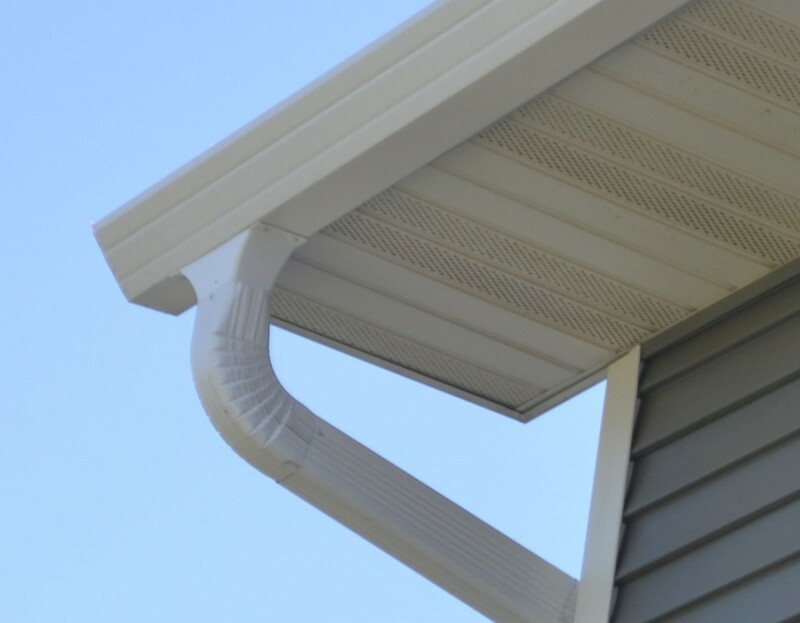 Plus, they form a smooth transition from gutter to downspout for a professional finish that homeowners love. They are available in sizes to fit 2″x3″ and 3″x4″ downspouts. Big Mouths come in standard white and can be painted to match the gutters. This makes Big Mouths compatible with any gutter system.